It's become increasingly crucial over the last several years to have a website that is fully responsive. Not only is this the case from a user experience (UX) standpoint, but from a Search Engine Optimization (SEO) standpoint as well. Mobile internet traffic has recently surpassed that of computer traffic. As a result, Google and other search engines are penalizing sites that don't meet their mobile standards. This mobile and multi-platform trend is only expected to continue, and we want you to be well prepared. Every site we develop comes fully responsive and is ensured to look good on all devices. SEO plays a vital role in how search engines "crawl" your website. When a potential customer does an internet search in order to find a good or service related to your business, there are a number of criteria taken into consideration that rank your website based on that query. The better optimized your site is, the better the opportunity someone has of finding your site and taking part in what you offer. The 4 core components to better SEO are full responsiveness, natural keyword integration, speed, and security. Rest assured that we don't neglect one piece of the SEO pie, but we eat the whole thing. Some would rather not have any part in the upkeep of their website, and Bent Liquid is here for you to take care of the dirty work. For those who would rather be a little more independent, we've got you covered as well. Content Management Systems (CMS) exist to give owners, administrators or editors access to make updates to content on their site by logging into a private dashboard. CMS is commonly used by bloggers, photographers and those selling a product online in order to make changes and updates to their existing website content. Worried about a CMS learning curve? Don't be! It's simple and we will train you. With the use of Google Analytics (GA) and Hotjar tracking codes built into your site, you will be able to make informed decisions on changes that may need to be addressed based on your website's user interactions. You can assess information like how and when users are engaging with your site, the demographic of your audience, their online purchasing trends and whether they're having difficulty navigating on a particular page. You can even collect information on how they were directed to your site in the first place. Simply put, analytics helps to build awareness about user activity on your website. It's also super cool! Do you have the need to sell your product online but aren't sure how to get the ball rolling? Let us alleviate the pain involved by taking you through the surprisingly quick process step by step. We begin by creating an engaging and aesthetically pleasing website that matches the look and feel of the product you are selling. Then we assess your biggest online selling needs and choose the most appropriate e-commerce solution. The rest is history. There are many benefits to e-commerce, but primarily speaking, the elimination of time and geographical distance is what drives many businesses to take the leap. Shall we get started? Why not let Bent Liquid help portray the desired image you have for your company by offering a wide variety of cohesive, creative components? 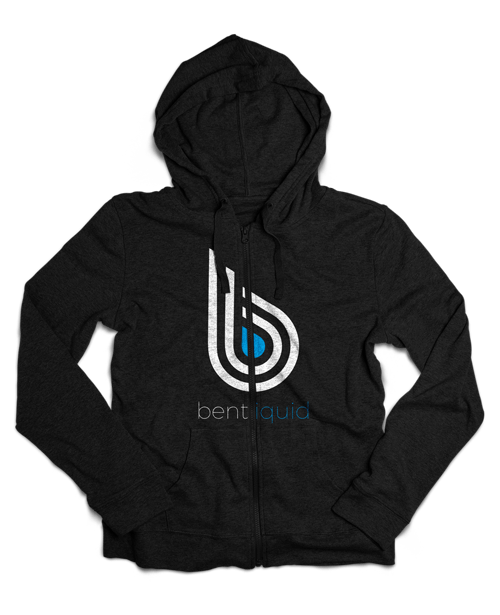 The branding and identity process at Bent Liquid begins with us learning what is valuable to you. We want to know what it is that fuels your company. From there, we are able to form a basis for the rest of the branding process. We then strive to help you reflect the core values of your company to the target market through the formation of a company identity. This includes, but is not limited to, a company logo, business cards, letterhead, brochures, and catalogs.